I am King: The Michael Jackson Experience is a “MUST SEE” Event. The touring show that has rocked Vegas for years visited the Chrysler Theatre last week for a stunning show that included all the songs, moves and charisma one would expect from the world’s leading Michael Jackson impersonator. Having never seen Michael Jackson live in concert, this was as close as I’ll ever get. I am King’s Michael Firestone is not a typical impersonator; he’s the TRUE Embodiment of The King of Pop. A real entertainer with real skill and star power. 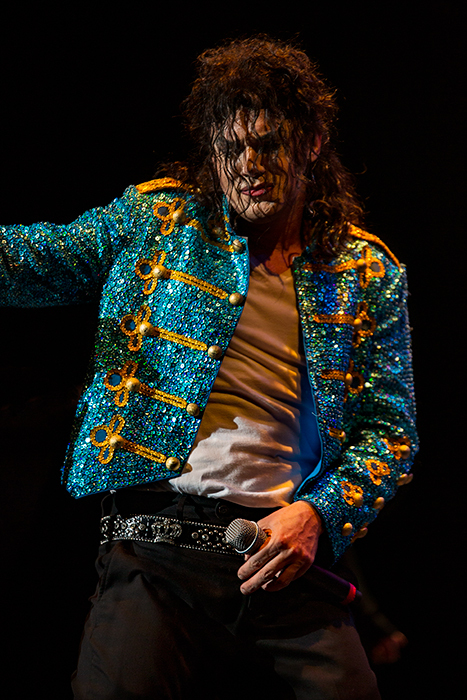 The audience was captivated by his performance – from his voice to his moves, you would think it was MJ himself. Every so often he would break character and interact with the crowd with a quick one liner joke that would have the audience rolling in the isles. Fans couldn’t help but sing along to every song that was performed and he truly made it an audience participation event. At one-point Michael Firestone encouraged the entire audience to sing “We Are The World” to the point where only the audience was singing it at the end. I am King’s setlist was one for the record books – iconic songs from the days of the Jackson 5 like “I’ll Be There” and “Who’s Loving You” to MJ essentials like “Rock With You”, “Beat It”, ”Billie Jean” and “Thriller”, just to name a few. Michael Firestone and the I am King experience was a musical thrill ride that no one wanted to get off.